Please note these are downloadable PDFs. 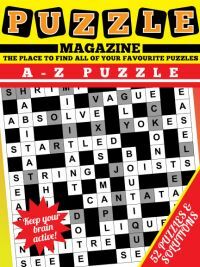 If you prefer to play online, please visit our Online A to Z Puzzles. 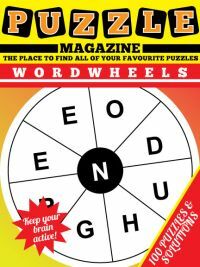 A - Z is a fantastic puzzle that is based on the idea of the crossword, but with a novel twist. 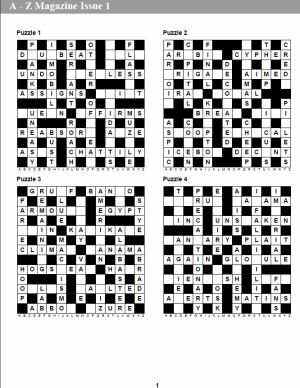 The puzzle starts with an almost completed crossword grid, but for 26 blank squares. These blank squares should be filled with each letter of the alphabet from A - Z just once, in order to ultimately fill the crossword grid. As an example, you might have this: C-A-blank-S. Now what letter fills the blank? Well if you haven't placed any letters at all then there are several options, for instance it could be a 'B' to make the word 'Cabs' or possible 'T' to make the word 'Cats'. Go through the alphabet and you'll find some other options too. So you will know it must be one of a range of letters but not exactly which one. Elsewhere in the grid there will be letters that can be placed straight away so you should look for those in preference. Once you've worked out where some letters are placed the options elsewhere are narrowed; thus if a blank square must contain one of two letters and one of those two letters has now been placed elsewhere, then it can be removed as an option anywhere else. These A - Z puzzles are created using British English, so please note for our international customers that in a small number of puzzles where there is a difference in spelling between vocabulary in British English and American English, the British spelling will be preferred: for instance the word 'colour' appears as 'colour' and not as 'color'. Some letters will yield themselves immediately whilst others might be a little more tricky to find, and sometimes you won't know which letter goes where until you have whittled down the options by placing some of the other letters elsewhere in the grid. There's an A - Z listing with each puzzle in order to help you keep track of the letters that you have already placed elsewhere in the grid. 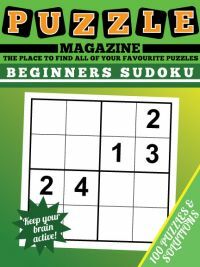 The A - Z magazine contains 52 puzzles and is provided in print ready PDF format so as soon as you purchase it you are free to print it off for your personal enjoyment. There's an image of the first page to the right. 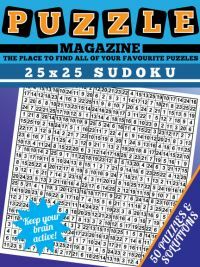 There are 4 puzzles per page and the puzzles are followed by the solutions so you can check the solution or look for a little inspiration if you got stuck. 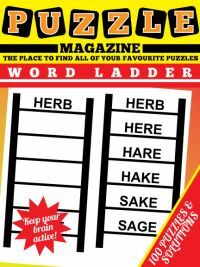 If you've never done an A - Z puzzle then why not take a look at one of the A - Z Puzzles in the magazine: feel free to print it off and solve. How do you go about solving an A - Z puzzle for the first time? It's actually easier than you think, it just takes a little thinking and a systematic approach. Armed with those two, you'll be halfway there! First things first - go through the grid and look at each of the missing letters. You'll spot places where there is only one word that can be placed. When you see these, place the letter or letters accordingly. And crucially cross off those letters to help you keep track - you'll need to know which letters are already used later on when it comes to the trickier places so you can narrow down the possible options, hopefully to just one word that fits. Once you've taken out all the easy letters, look again at the harder placements. Have some of the options been discounted by the fact that you've placed other letters already? If so, then you can make progress. If not, then you might need to use a little forward thinking. The idea here is that you say 'if I put these letters here, would this stop other words from having any possible answers?' Often that is the case, and you can mentally reduce the options further as a result of this. Sometimes you won't be sure how many words fit in a place, you can only think of one but are reluctant to place it, or possibly can't even think of any words. What can you do in those instances where you get really stuck? Well, there are free online tools that let you look up words that match a particular pattern. So if you're really stuck you might like to use one of those just to help you make a bit of progress and get a nudge in the right direction. If you have any particular solving methods you find particularly helpful then we would love to hear from you! 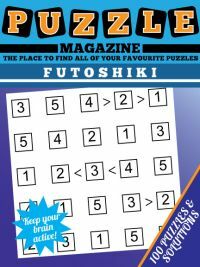 In the meantime we hope you enjoy solving the puzzles on offer in this magazine.